Ubuntu 10.04 Free Download ISO Image x86 x64 for installation. It is complete bootable ISO Disk Image for Ubuntu 10.04 LTS Lucid for 32 bit 64 bit PC. Ubuntu is a Linux based operating system based on a free software. The name Ubuntu came from an African philosophy which means humanity towards others. Ubuntu has come in various releases and the one we are reviewing today is Ubuntu 10.04. In the year 2010 Ubuntu 10.04 was first released. 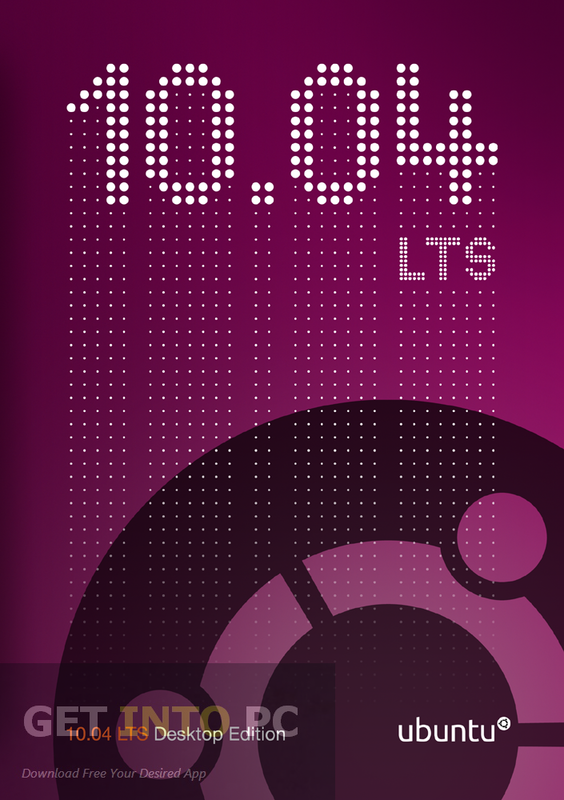 Ubuntu 10.04 is the 12th major release of Canonical. Ubuntu 10.04 has many new features and some of them are as follows. GIMP is removed from this release from installation due to complexity and large file size. You can also Download Ubuntu Desktop Latest Version. Emphasis has been made on web based services and social networks and interfaces have been integrated for posting status like Facebook and Twitter etc. Nvidia proprietary graphics drivers have also been improved. 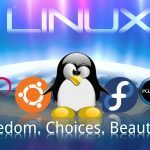 New themes and color palettes have been included in this release which have made Ubuntu very fresh and easy on the eyes. Windows control button have also been added in this release. The new look is much more similar to Apple Mac OS which has brought a fair amount of criticism to Ubuntu that Ubuntu is losing its identity. Ubuntu Server can also be installed on Server Machines. All in all Ubuntu 10.04 is a very good operating system which a brought a fresh new air in the Ubuntu OS family. 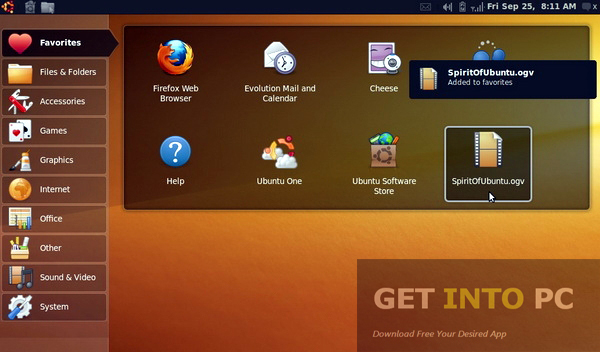 Below are some noticeable features which you’ll experience after Ubuntu 10.04 free download. Emphasis have been made on web based services. Nvidia propriety graphics drivers also been improved. New themes and color palettes included. New look similar to Apple Mac OS. 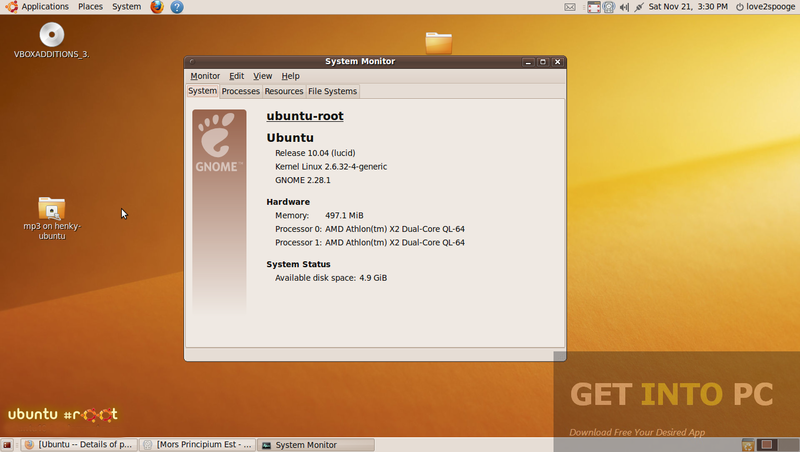 Before you start Ubuntu 10.04 free download, make sure your PC meets minimum system requirements. Hard Disk Space: 5GB of free space required. Processor: 1GHz Intel Pentium 4 or faster. Click on below button to start Ubuntu 10.04 Free Download. This is complete offline installer and standalone setup for Ubuntu 10.04. This would be compatible with both 32 bit and 64 bit windows.